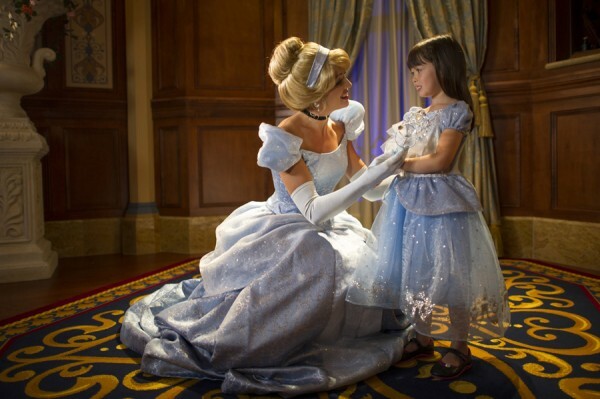 Princess Fairytale Hall in the New Fantasyland section of the Magic Kingdom welcomed their first royal guests today! The new character meet and greet area for Cinderella and Rapunzel (accompanied by their other princess friends) was gift from the King to Cinderella to give her a place to visit with all of her friends. The FASTPASS distribution for this meet and greet is near Peter Pan's Flight.